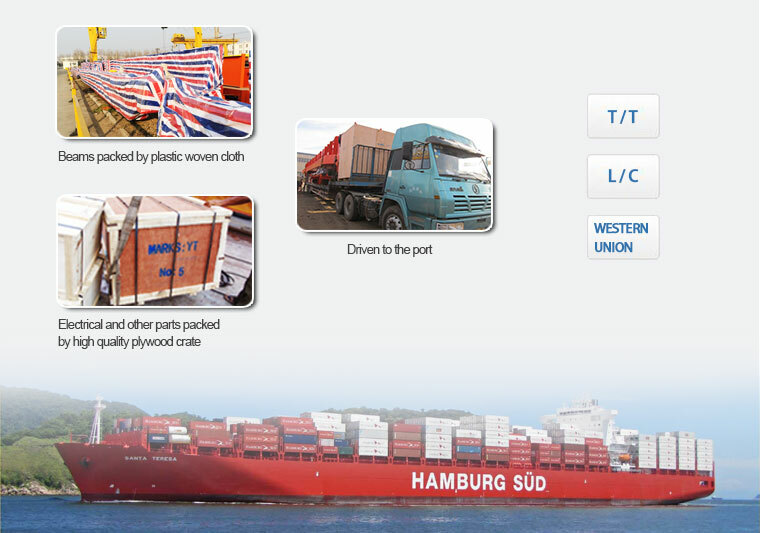 2.Other parts are packed as standard or as your requirements. 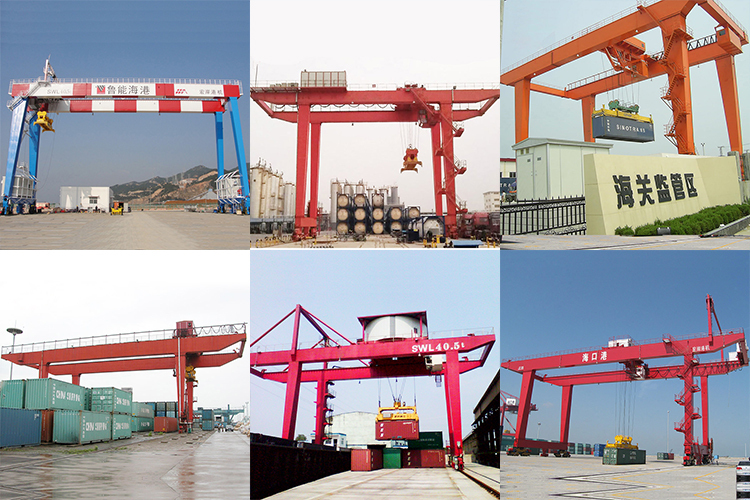 Rubber-tyred Container Gantry Cranes(RTG)are special equipment to remove, load and unload containers. 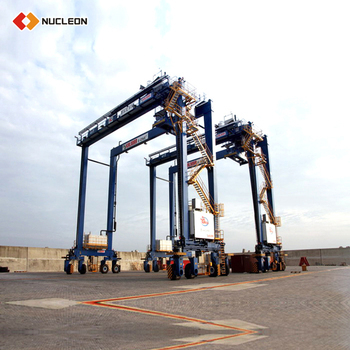 Running and moving in the yard, it has the advantage of high production efficiency and fine maneuverability. RTG has tractor trolley and standard trolley two models. 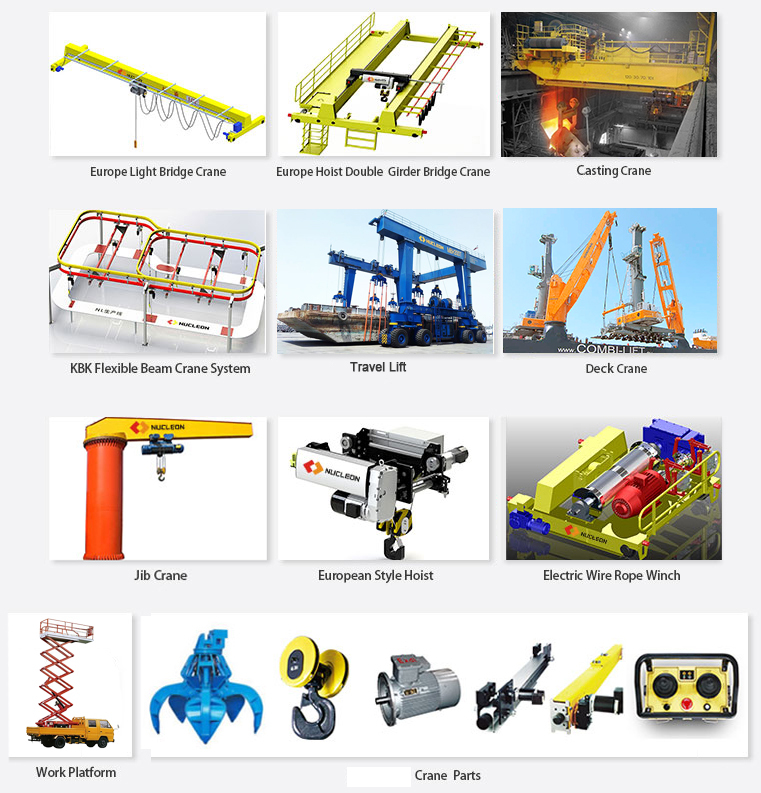 RTG is powered by cable drum. 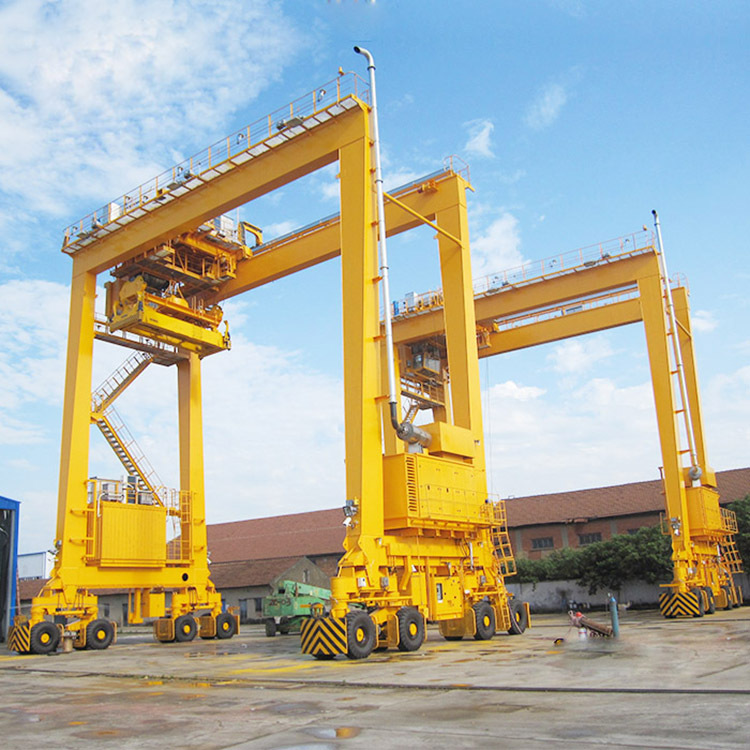 At the same time, diesel generating set is equipped for conditions when the power is off or the crane moves to another yard. 1,The power source is three-phase alternating current,rated frequency is 50HZ,rated voltage is 380V. 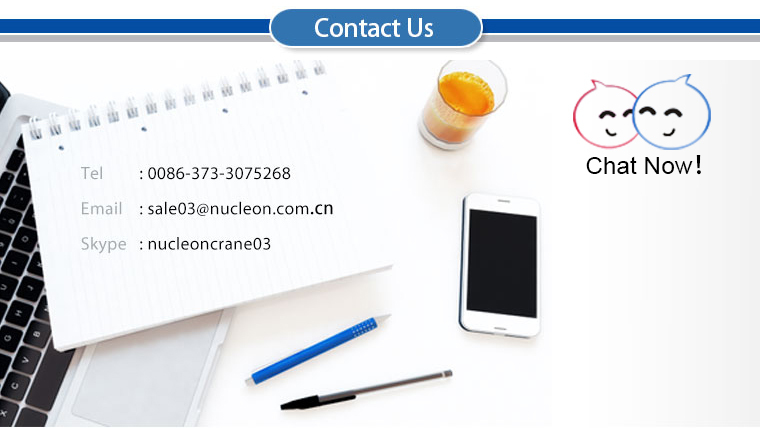 2,The working environment temperature ranges from -20℃ to +45℃ and the relative humidity is no lower than 95%(with dew). 3,In-service, the wind speed should be no higher than 20m/s; out-of-service, the wind speed should be no higher than 44m/s. 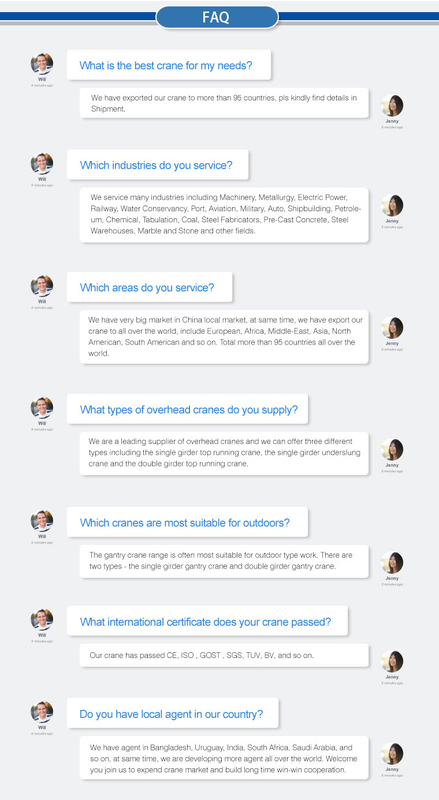 4,The group classification of the crane is A6 or A7. 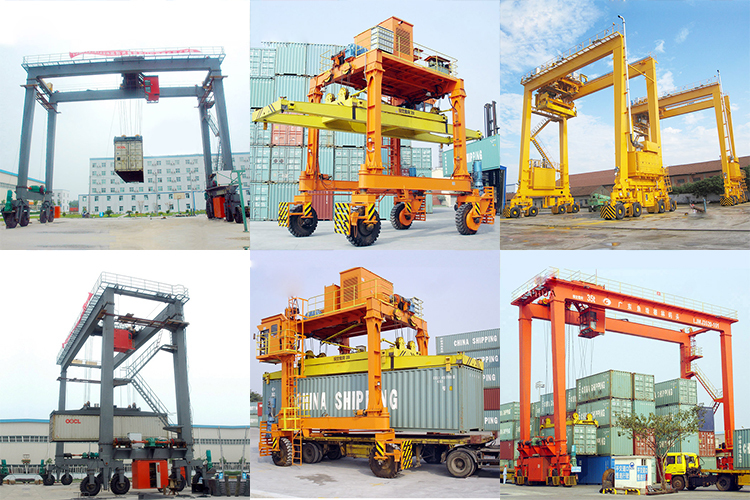 5,The gradient of crane traveling floor should be less than 1% and part of that should be no more than 3%. 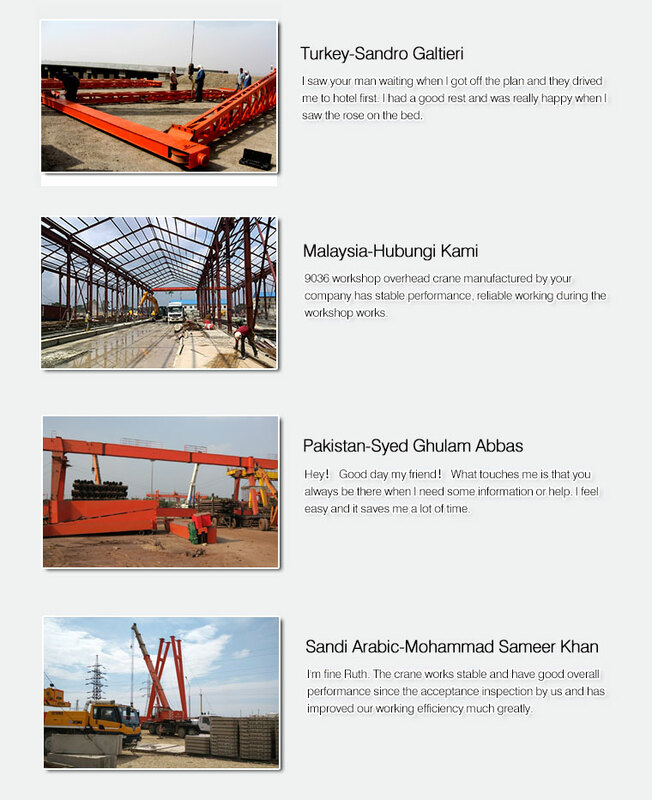 6,The crane which has the special requirement for working conditions, can be manufactured following the contracts. 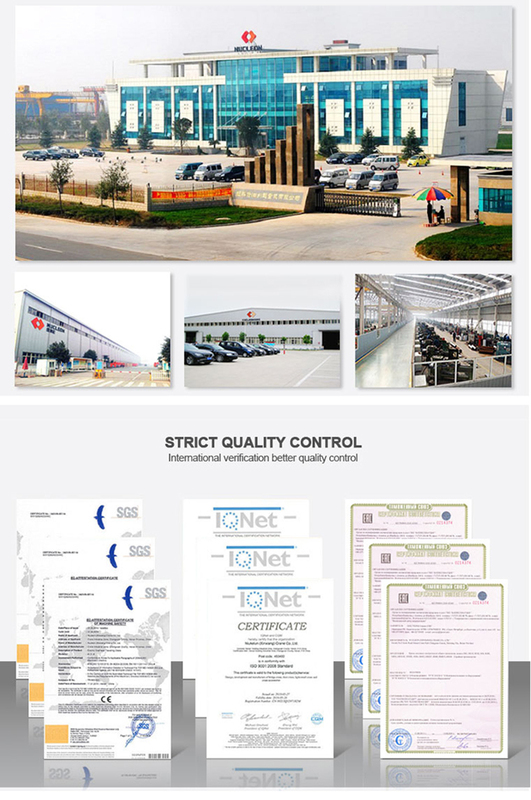 Design Standard: In strict accordance with the GB standard design and manufacuture. 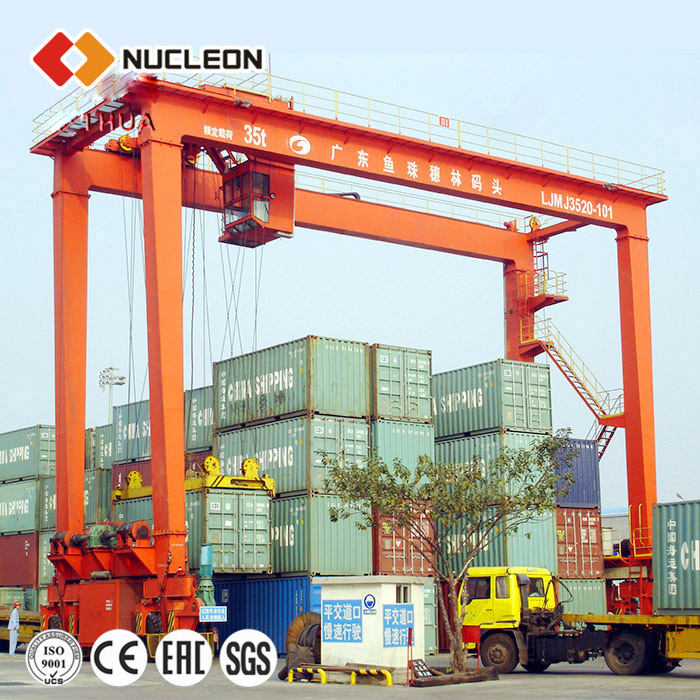 Nucleon(Xinxiang) Crane Company could supply you high quality container crane, including rail mounted gantry crane (RMG crane) and rubber tyred gantry crane(RTG crane), widely applied to lift 20ft containers, 40ft containers and 45ft containers with special lifting spreaders.